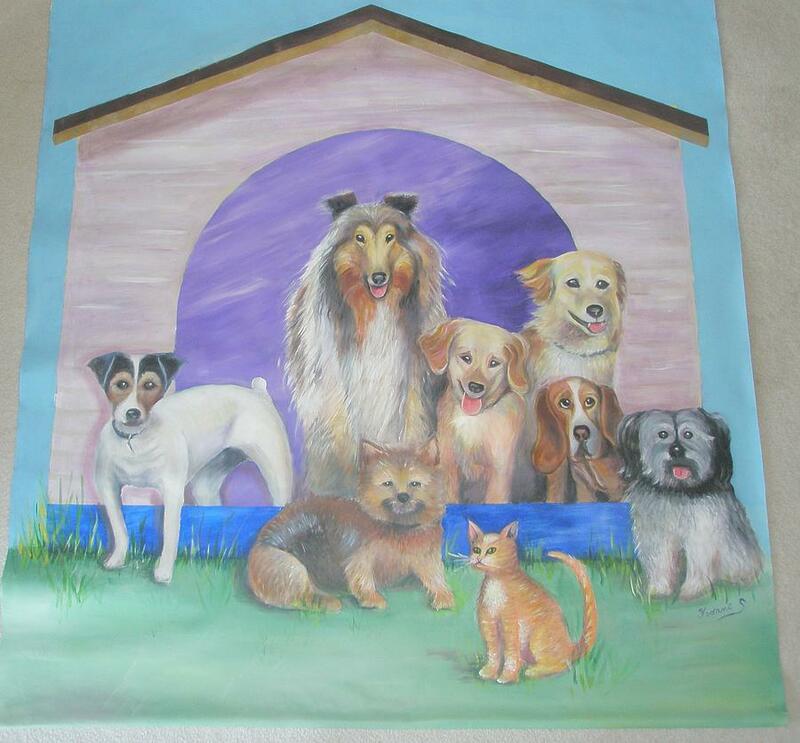 The Bunch - Mural On Canvas is a painting by Yvonne Seiwell which was uploaded on July 15th, 2010. This is a large canvas to hang (on a curtain rod - using clips) of about 4.5' x 4.5'. Great for signage with area at on top of doghouse for name of business. Acrylic is the medium. There are no comments for The Bunch - Mural On Canvas. Click here to post the first comment.